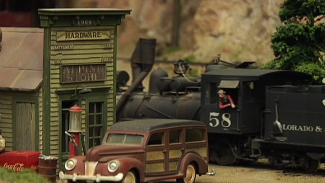 There are certain elements and structures on a model railroad that can be more daunting to create than others. You know, the features on the layout that make you groan and say, “I guess today’s the day I do that part.” Model railroad tunnels are one example of a feature that most modelers will save for later when they’re putting together their layout. But tunnels don’t have to be intimidating, if you use the proper technique and take your time in completing the process. 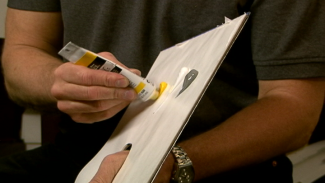 To help you figure out the best way to build model railroad tunnels for your next layout, host Allen Keller visits the workshop of expert modeler Tony Koester to learn a few expert tips and tricks for assembling stress-free model railroad tunnels. When it comes to building realistic model railroad tunnels, the key is giving your viewer a little bit without having to make the whole thing. Illusions are a modelers best friend, and you can create a convincing illusion of lengthy model railroad tunnels by taking advantage of a commercial portal facade, some dirty paint water and a section of posterboard. 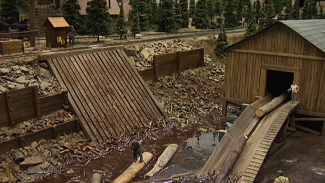 To show you how to create your own model railroad tunnels, Tony Koester walks you through the step-by-step process he used on his HO model of Allegheny Midland Railroad and most of the other layouts he’s built. All you’ll need to begin Tony’s method for building model railroad tunnels is a portal kit from a manufacturer such as Chooch Engineering, and some fast-acting glue. Tony demonstrates the proper way to adhere the face of the portal to its walls, and then shows you how to easily weather the visible wall with dirty paint water. Once the portal is formed, you’ll learn how to size, cut and adhere a straight or curved lining to the portal to give your model railroad tunnels the illusion of depth and completeness. And voila, nothing scary about it!